As our website is run by three people (on the blog and on the Twitter), we often have different views and opinions. Primarily, one of the matter of disagreement is the issue of independent Kosovo. On February 7, 2018, on our blog appeared an entry about Kosovo – Serbia can’t accept Kosovo being a country. I have been gathering for a long time to write polemic to this post, especially to improve that this problem is not black or white but also has got other shades. Kosovo declared independence from Serbia on February 17, 2008. It is also true that Kosovo has got 117 diplomatic recognisions included 111 Unated Nations members states. However, a big oversight is the statement that the only country that did not recognize (Kosovo) is Serbia. Nonetheless, the fact is that more than 80 diplomatic states do not recognize Kosovo as an independent state. Including Spain, Romania, Cyprus, Greece, Brazil, Russia, Israel, Georgia, Slovakia and others (picture 1). At the very begging of the article is asked a question - do they think that Slovenia, Croatia, Bosnia Herzegovina, and all other countries from former Yugoslavia are not countries, either but Serbia's? Croatia is country where live Croatians, Slovenia is country where live Slovenians (The topic of Bosnia and Herzegovina needs to be left for the next article­), but what about Kosovo? ​At the turn of the 6th and 7th centuries, the Slavic population began flowing into the Balkan Peninsula, also on the lands of today's Kosovo. The history of Kosovo lands has not been easy from the beginning. These lands belonged to the former Bulgarian Empire, later to Byzantium, and in 1216 became part of the Serbian state. It was then that the largest number of Serbian monasteries and churches were built, which the Serbs refer to when talking about their legacy. The first census was conducted in the 12th century, so we know that territory was inhabited mostly by Serbs and Bulgarians. After Ottomans Empire conquer Balkan Penisula and in the 17th century, many Serbs were expelled from Kosovo, and the Albanians began to flow into these lands. In the following years, through a high birth rate, there were more and more Albanians in Kosovo. After the war, the Serbian population decreased significantly. Many Serbs were killed or have been banished from their homes. All of this was the responsibility of the UCK recognized as a terrorist organization. I will not present all the facts from the Kosovo war but I encourage you to watch a movie that presents some facts which the world forgets and are not easy or black or white: https://www.youtube.com/watch?v=Z1dtOAGD0pk. As we can see, the population of Kosovo has changed significantly over the years, leading to the situation that in these lands are the vast majority of Albanians. Therefore, it is not true that in Kosovo is 50/50 Split of Muslims and Orthodox, but based on Pew Research Cente there is 87% of Islam and 9,9% of Orthodox. That is why I will not say that Serbia should re-joint its land. For now is impossible. The demographic structure of the area has diametrical changed and the rest of the international community would not allow it. 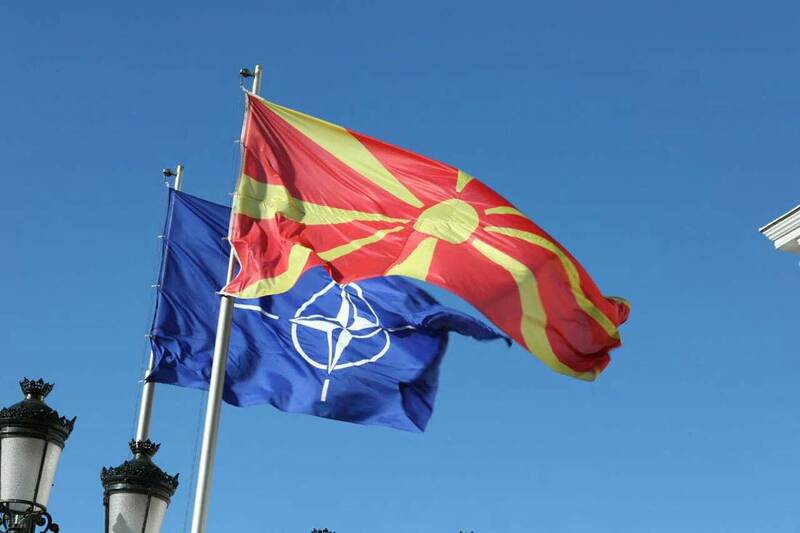 We can observe now the same situation in Macedonia. Other Slavic country which has big problems with Albanian minority which claim rights, leading to troubled conflicts like in Tetovo in 2001 (I am writing about it in my article which will be published soon). Many case researchers invoke the concept of Great Albania as a threat. The concept of lands that in future will create Great Albania based on regions like Kosovo and the Preševo Valley of Serbia, territories in southern Montenegro, northwestern Greece and western part of Republic of Macedonia. The case of Kosovo is other than Croatian or Slovenian example, it is incomparable. We all have to ask ourselfs whether the state is a historical or cultural heritage, or, for example, the number of its population, not always indigenous. These questions are particularly important in these times when more and more immigrants or refugees are coming to Europe. In some areas, they create enclaves, sometimes being in the majority (Belgium). Whose countries will be in the future? I will not judge it. I do not even want to. My world has many shades and nothing is simple.